Friday night the 1st of April 2016 was an extremely quiet night with no wind. A perfect opportunity to go out with my camera. This time I chose to visit the harbor in the historical center of Maassluis. The famous steam tugboat the Furie, that usually is moored at the Stadhuis quay, happened to be away for maintenance. The historical seagoing tug played a major role in the well known 1976 TV-series Hollands Glorie, based on the novel by Jan den Hartog. 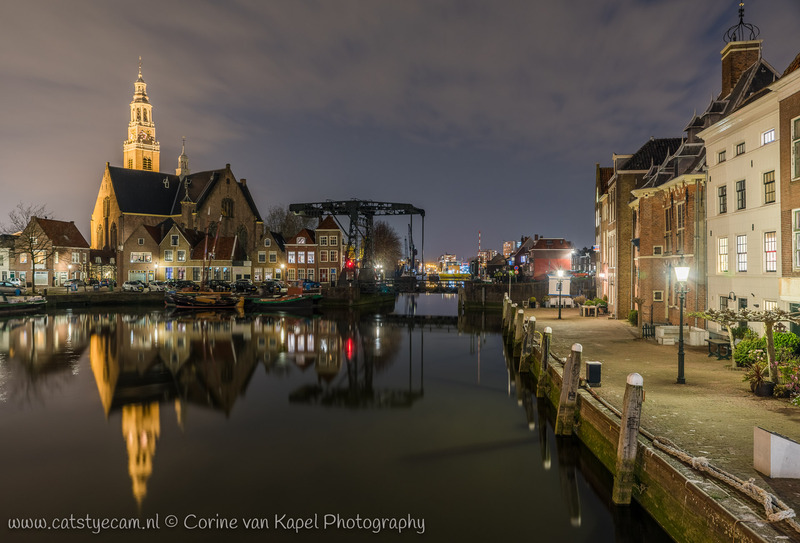 But even without the Furie, the harbor of Maassluis is still worthwhile to photograph. Because there was hardly any wind, the buildings reflected beautifully in the water.